Today’s look is inspired by my new land! I have a home again at last, on protected mainland water. So I was feeling fresh and beachy and I put together this look starting with the Breezy mesh shirt from E! Eclectic Apparel and Accessories. This short-sleeved open cotton shirt is great for layering and can be worn super casual as I have here, or with a nice wide trouser, pencil skirt or dress, for a business casual look. The Breezy shirt is available at E! 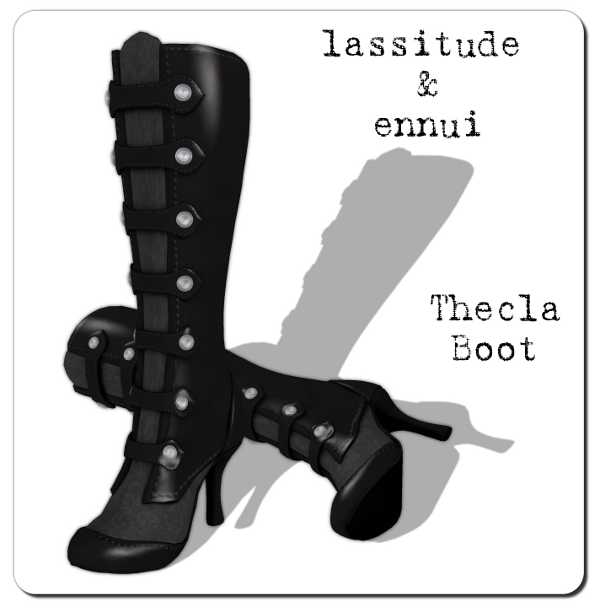 Eclectic Apparel & Accessories mainstore or at March Mesh Madness. Try a free demo, all mesh clothing from E! comes in 5 standard sizes. As obsessed with mesh as I am, it’s great to combine new things with old favourites from your inventory. I chose the cafe shorts from Surf Couture since the colour looked good with the shirt, at least with my lighting. These Tennessee slip-ons from Reek are great colour-change flat espadrilles, ideal for a day at the shore. I’ve had these Gos sunglasses for 2 years but I wear them again and again. Love the colour / texture changing options that Gos products provide. 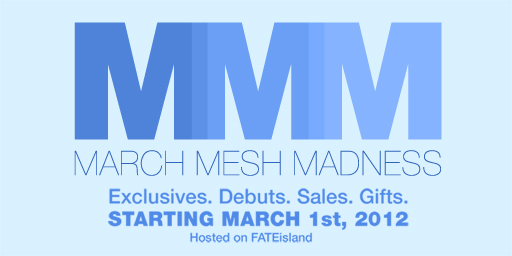 March Mesh Madness is coming March 1 and the coldLogic team has been hard at work cranking out new releases ever since their grand opening. The most recent release includes wide leg trousers and an assortment of tops that mix and match. Here I’ve put together 2 outfits using coldLogic separates, and with a change of clothes, used the same shoes, hair, and accessories to create an evening look with a coldLogic mesh dress. At the top right, the Buckley skirt in coal is paired with the Segel top in plum. Add these great mesh pumps from Ingenue at the Festival of Sin and Maitreya’s oversize leather satchel, and you’re ready for work, shopping, or lunch with friends. Replace the top and pants with the Marsh dress in grape and you are ready for the evening, although this maxi dress could just as easily be dressed down for a casual day out. For the daytime look bottom right, I’ve put the Lane top in Berry together with these great Mazza wide leg trousers in navy and layered a sheer navy tank underneath. For accessories these Gatsby mesh pumps from Ingenue in navy, and a bag from Bare Rose. Add some lovely jewellery from Donna Flora and you have a smart business casual look. Slip off the separates, and add the Hendricks dress in plum, and you’re all set for lunch with the girls or for date night with your sweetheart. I love the richness of this plum and navy combination. Check out these and lots more mesh separates and dresses at the ColdLogic Mainstore, and head over to March Mesh Madness when it opens this Thursday.